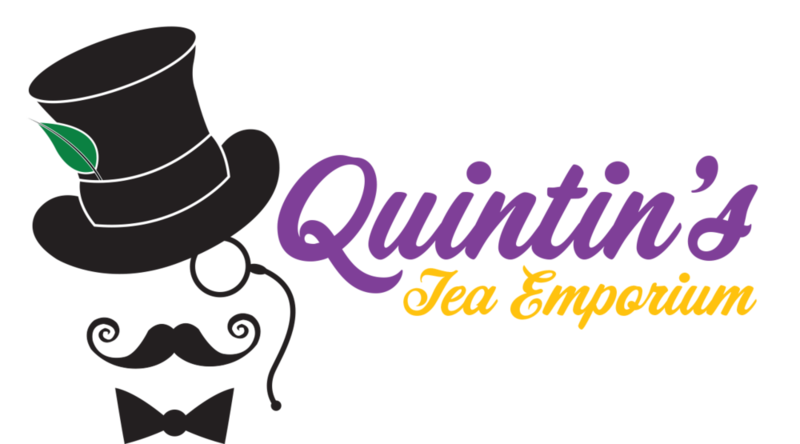 Welcome to Quintin's Tea Emporium Online! For the latest Quintin's updates on sales and events, please subscribe below. Welcome to Quintin's! We are Hampton Roads' premier source for high-quality, loose leaf tea. We carry over 100 varieties of single-estate, blended or flavored black, green, oolong and white teas are available from China, Japan, Sri Lanka, India, Kenya and Taiwan. All of our teas are available for customers to experience by sight and smell before purchase, and we often have a sample on hand to try. Guests are welcome to come in for a cup or pot of tea in our tea room, or to take a cup of tea to go. We hold events from time to time and invite all to come and participate! Quintin’s Tea Emporium is named after former Virginia Beach resident, Quintin Ronald, who was born and raised in Scotland and served in the British Merchant Marine. Quintin and his wife, Margaret, also from Scotland, were the quintessential tea drinkers and had a life-long love of learning. Throughout his life Mr. Ronald exemplified the utmost in integrity, fairness, practical values and work ethics. Their sons Alan and Ian, third generation merchant mariners, live in Virginia Beach. Quintin Ronald died October 1, 2009 after battling congestive heart failure. The operating philosophy of Quintin’s Tea Emporium is based on the example set by Quintin of unquestionable integrity, exceptional value, hard work and sharing the keen appreciation and knowledge of good tea. Our goal is to introduce the people of Virginia Beach, Norfolk, Chesapeake, Suffolk, Portsmouth, Hampton and Newport News to good quality tea, and to teach them about our products. At Quintin's Tea, we invite you to explore the world of loose-leaf tea. We will act as your guide as we teach you about how tea is made, the science behind why it is so good for you, and encourage you to discover new flavors and benefits in teas you might not normally experience. We are a family store and treat all our customers like family, so come on in and let's do some tea! Stay up-to-date with the latest sales and events by subscribing to our newsletter! Thank you! We promise not to send too many emails to you, but we are glad you signed up!